Welcome To Cherry Sounds Productions. Cherry Sounds Productions is a full service disc jockey company based in Brantford Ontario providing the industry’s best entertainment value. Whether a wedding reception, large corporate event, non-profit fundraiser or even a small private affair, Cherry Sounds Productions has the experience, knowledge and creativity to make your event one that everyone will be talking about. DJ and Cherry Sounds Productions one of the owners Jackie Peter has 11 years of experience in the DJ industry and has mastered the art of reading the dance floor and entertaining the crowd. 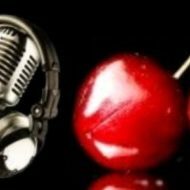 Cherry Sounds Productions offers a diverse range of DJ and MC skills that will exceed your expectations. From hosting your wedding reception, to providing background music for a networking event, creating a hip-hop club vibe, going retro to the roaring 20s or anything else in between.Our goal is to bridge the gap between the ‘cool’ club DJ and the ‘cheesy’ wedding DJs without sacrificing the professionalism you require from any of your vendors. We work hard to get people on the dance floor and keep them there all night long. Give us a call and let us help you create an event to remember!